Enjoy the coming Season in Luxury Motorhomes from Auto-Trail. 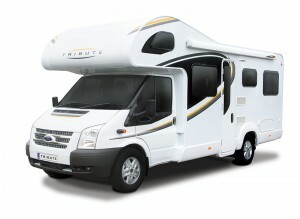 The Spacious Autotrail Tribute coachbuilt T720 6 berth is a luxury Ford based motor home with a 140bhp turbo diesel and 6 speed manual gearbox, that any driver could get used to. To complement this it has ABS brakes, cruise control, cab air conditioning and power steering. 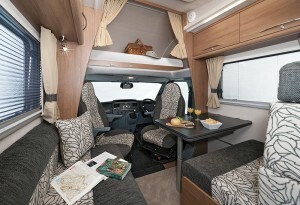 The Tribute T-720 Features has a panoramic rear Lounge front Dinette area with captains chairs. With well equipped kitchen and en-suite facilities including separate shower cubicle. 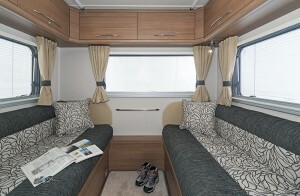 The main Double beds are located over the cab and the rear lounge, while the dinette area features two three-point seatbelts on the forward facing seats which can be quickly converted to a large double bed. Driving this motor home is so comfortable and relaxing, taking you to a new level of stylish luxury you will not want to end. You will really enjoy your time in this luxuriously furnished and superbly equipped home from home in which you can go where you please and stay where you wish with no deadlines to spoil it . and a separate shower cubicle.